Hyderabad-based digital and entertainment startup SillyMonks Entertainment Pvt. Ltd has raised around $448,000 (Rs 3 crore) from high-net-worth individual Sreenivasa Reddy Musani, it said in a statement. Musani is chairman and MD of Hyderabad-based Ektha Group which operates in real estate development and information technology sectors. The startup plans to use the funds to launch six web series properties on its YouTube channel SILLY TUBE. 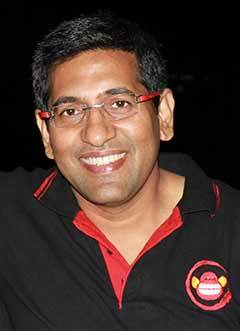 Founded by Sanjay Reddy and Anil Pallala in September 2013, SillyMonks produces digital, TV and film content. It also owns Monkstar Music that provides an online platform that helps independent music artists get in touch with event organisers. SillyMonks, which is a YouTube-certified multi channel network, claims to address an audience of more than 16 million followers across social media platforms and attract more than 100 million views a month. Revenues for SillyMonks come from its clients through YouTube advantage share and retainership engagement, including digital marketing and mobile and web designing. Reddy spent 22 years in the media and entertainment industry and his last assignment was at Zee Network as business head, South. Before launching SillyMonks, Pallala founded digital media and content firm Whacked Out Media Pvt. Ltd which aggregates and distributes content, manages celebrities, and promotes movies, brands and products. According to SillyMonks, the digital media content market in India is currently pegged at Rs 8,000 crore ($1.2 billion) and is expected to grow at a compound annual rate of 33.5% to Rs 25,500 crore ($3.9 billion) by 2020. "We eye a significant pie of this cake," Sillymonks said in a statement. It claims to have clocked revenues of Rs 4.75 crore in FY2015-16. In the financial year ending March 31, 2017, it anticipates 50% growth. “SillyMonks has shown potential in its growth and is well placed to be part of the digital revolution in India," said Musani. The startup said it plans to expand operations in content aggregation and customisation and deployment of content in audio and video formats for mobile carriers, devices and music stores in Indian and global markets. "We have a multitude of digital media properties like MonkStar and more than 650 YouTube channels with original content. The funds raised will enhance return on investment (ROI) for clients by helping deliver digitally immersive online experiences to customers," Reddy said. In June 2014, SillyMonks had raised an undisclosed amount from an Korrapati Ranganatha Sai, founder of Vaaraahi Chalana Chitram which produces Telugu movies.